South Africa is being transformed through a variety of public and private partnerships. Many include government agencies, NGO’s and mulit-national corporations. One of the most amazing examples comes from the younger generation taking on the challenge of becoming entrepreneurs. 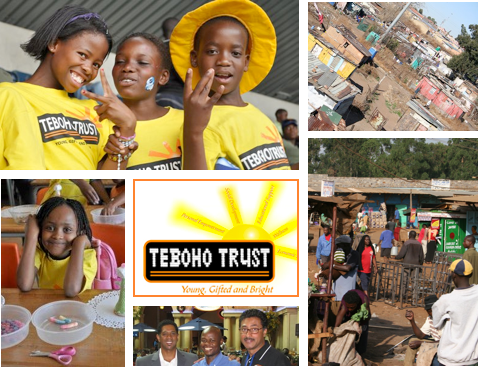 Organizations, including Teboho trust, have empowered orphaned, vulnerable and/or at-risk children, adolescent youths and their caregivers through a successful integrated model. The greatest needs are still in the area of authentic leadership, personal empowerment, social entrepreneurship, community development through economic development and democratization of Africa and strategic participation in globalization.